Earlier this month, a federal district court judge reinstated the revised Employer Information Report (EEO-1) pay data reporting requirement, leaving many companies unsure about their obligations. The EEO-1 Report is a survey mandated by federal statute and regulations that categorizes employees by race/ethnicity, gender and job category. On an annual basis, employers with 100 or more employees and federal contractors with 50 or more employees are required to complete the EEO-1. The data collected through the EEO-1 is used by the Equal Employment Opportunity Commission (EEOC) and the Office of Federal Contract Compliance Programs (OFCCP) to analyze employment patters including the representation of women and minorities in certain industries and regions. Under the Obama administration, the EEOC finalized regulations to expand the information collected on the EEO-1 with the intention of combating pay discrimination through the identification of wage disparities. This move was widely criticized by employers as the overall consensus was that collecting W-2 earnings with no context to explain the differences (e.g., education, training, experience, tenure, etc.) would result in increased scrutiny and investigations which were unnecessary. Following the presidential election and before any wage data was collected, the Trump administration issued a memorandum announcing the immediate stay of the revised EEO-1 form. The EEO-1 portal opened on March 18th in order for required employers to submit 2018 data by May 31, 2019. 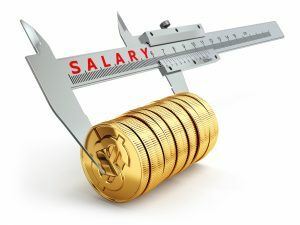 As of right now, it is unknown if the EEOC will require wage data to be included or if it will be collected separately with a later deadline.